Mix to combine the cordial and rose water. Dip the sugar cubes into the cordial and place on a tray lined with non-stick baking paper. Set aside for 20 minutes. Place two sugar cubes and 1 teaspoon of the extra cordial in the base of 6 Champagne flutes. 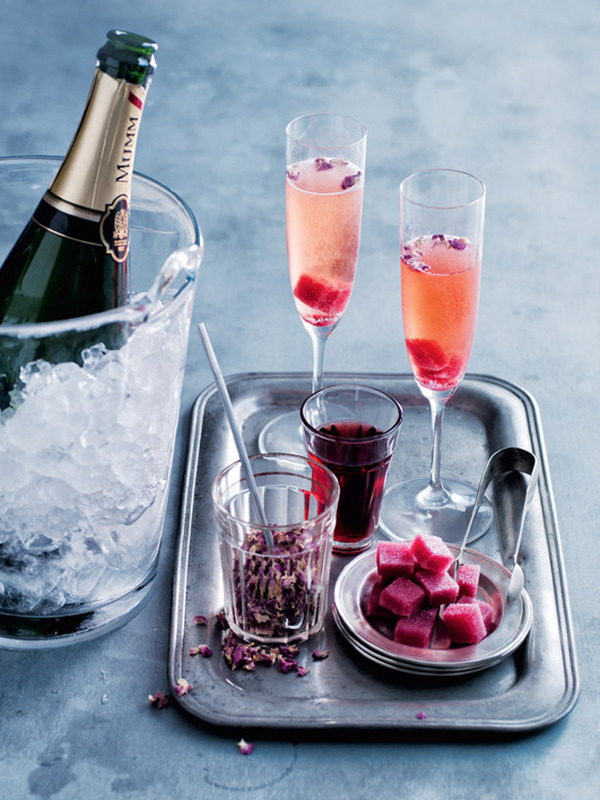 Top with Champagne and rose petals. Makes 800ml. Serves 6 (7.1 standard drinks).